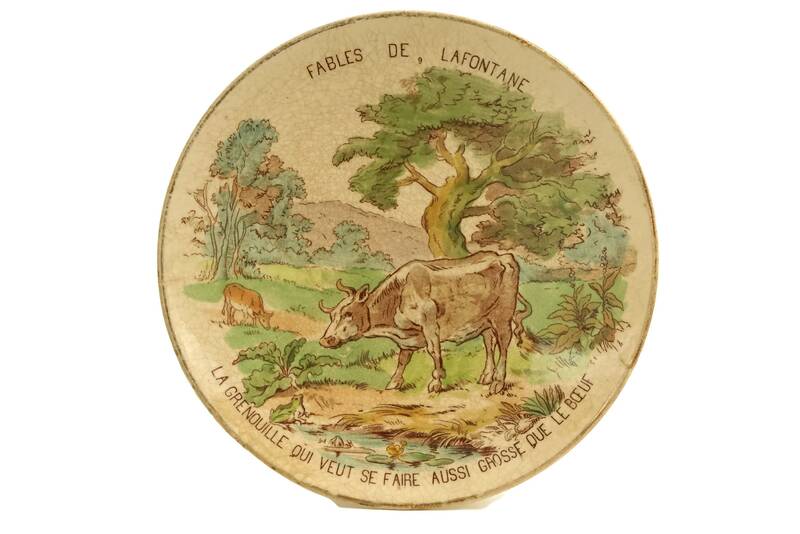 A charming antique French wall plate dating to the late 1800's. 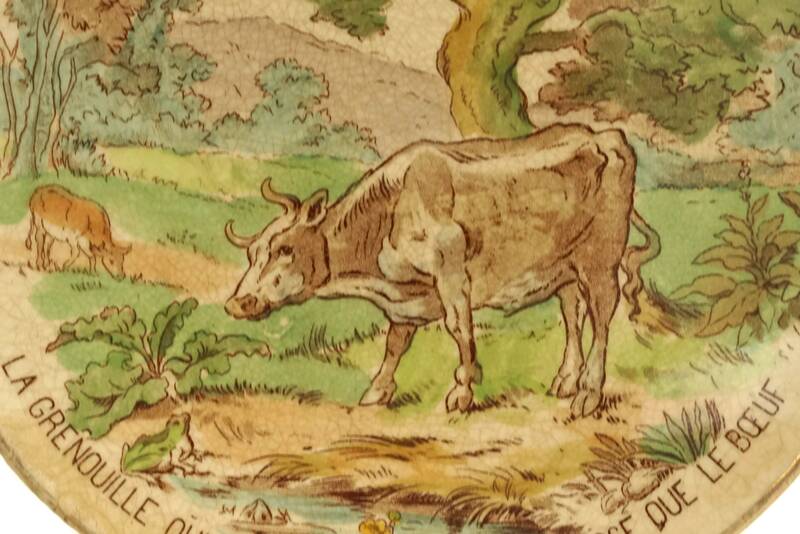 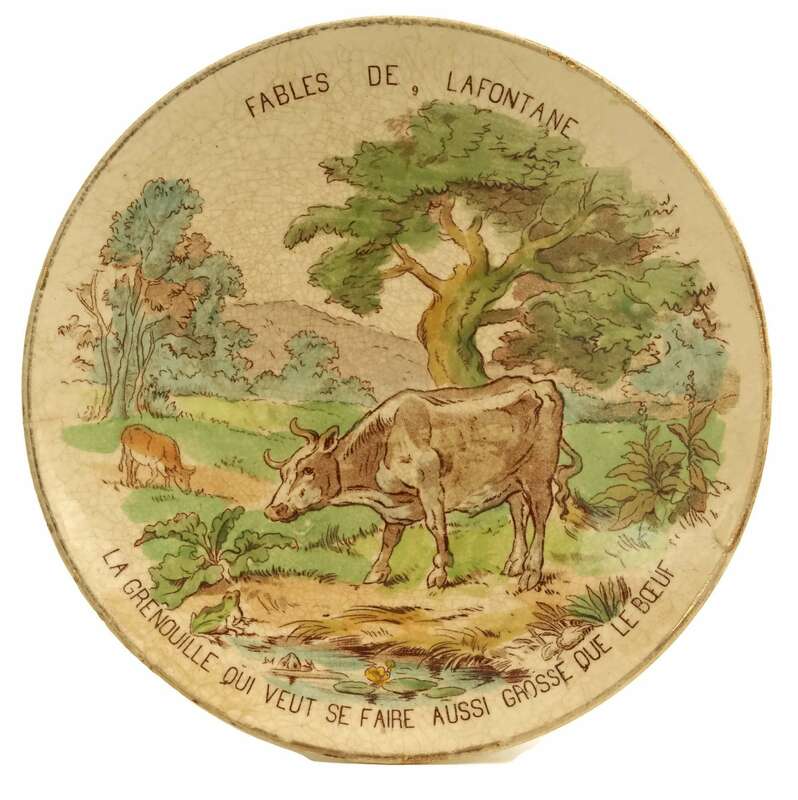 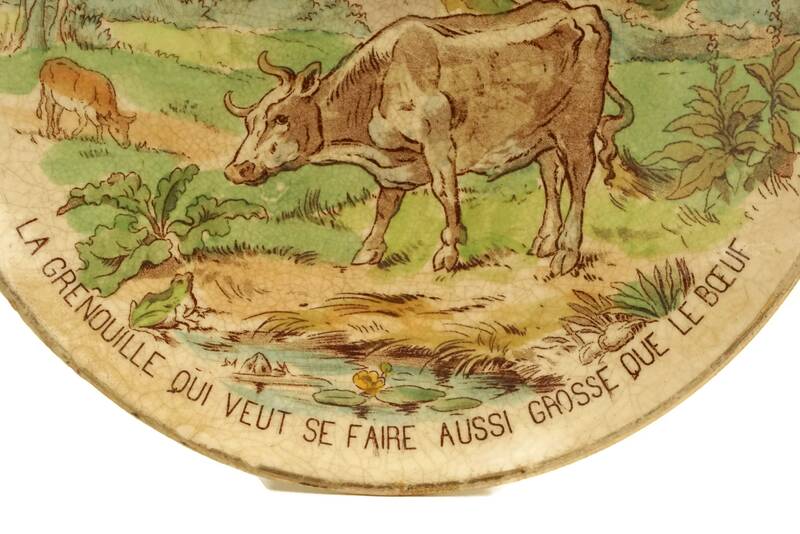 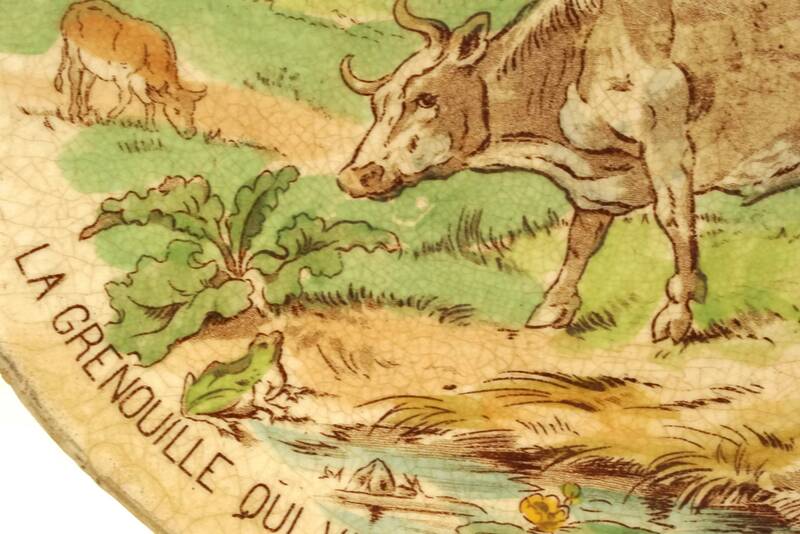 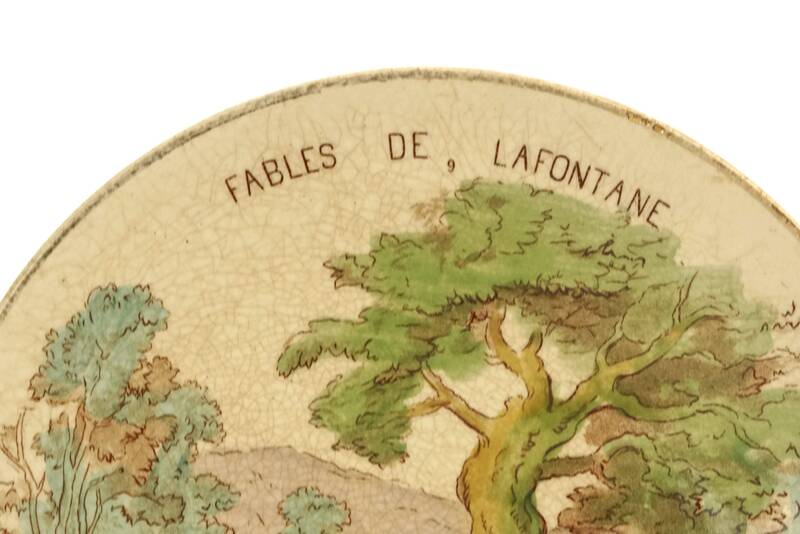 It is from the Fables of La Fontaine series and is decorated with a scene from the fable "The Frog that wished to ba as big as the Ox" by the famous French writer Jean De La Fontaine. 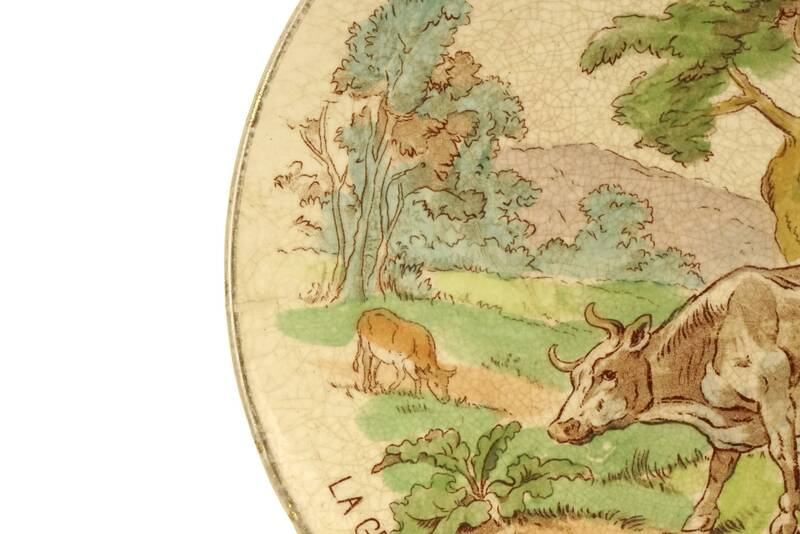 The colorful transferware plate has been hand colored and is filled with old world charm. 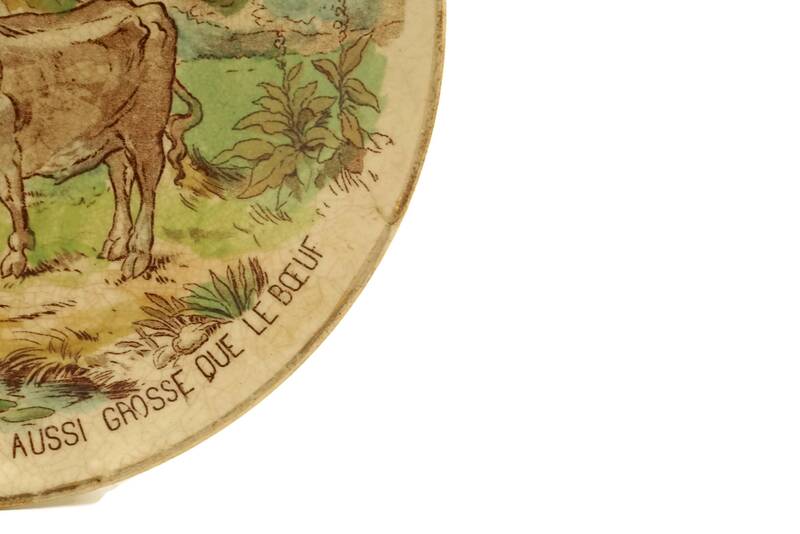 The reverse side has been stamped with the maker's mark and features small holes for attaching a wall hanging wire or cord. 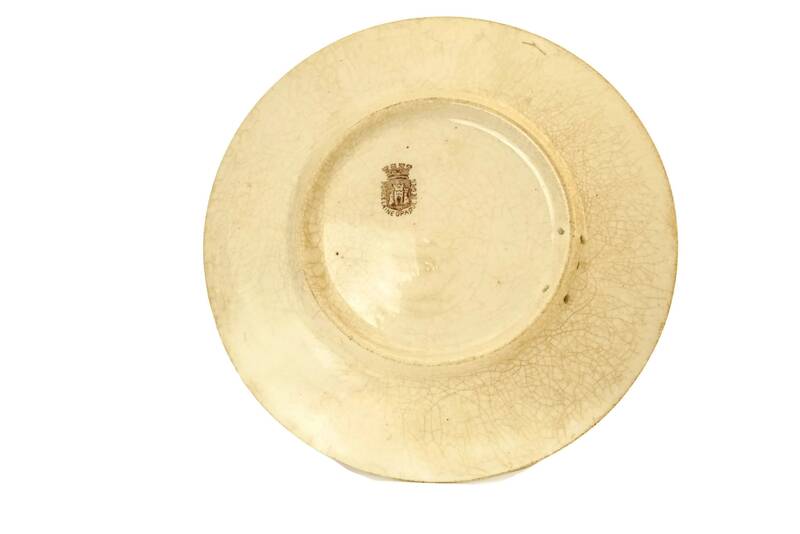 The decorative antique wall plate is in good condition with no chips or cracks. 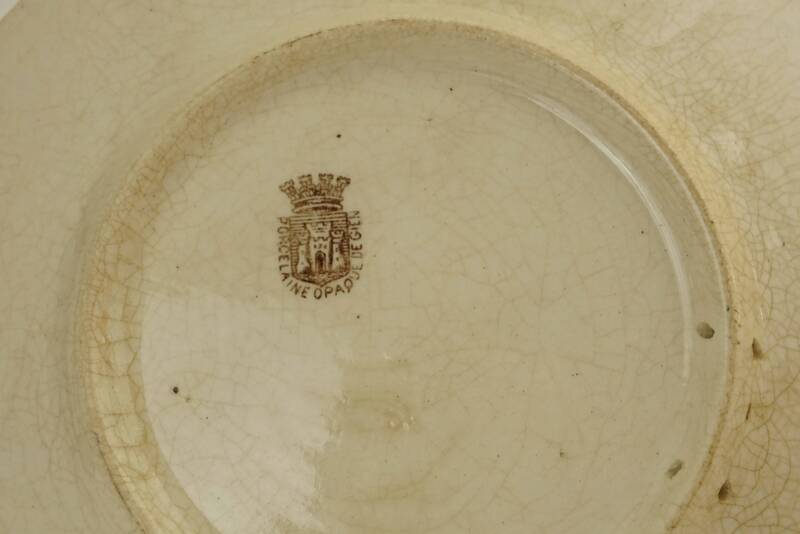 There are fine crazing and age marks to the surface of the glazed ceramic.